A popular teenage girl, Holly struggles with unexpected feelings of depression, remorse and alienation from her friends after getting an abortion as a result of her unwanted pregnancy. Holly finds solace at a crisis pregnancy center where an understanding counselor shows her acceptance, forgiveness and hope in her situation. This teen drama, based on a true story, deals with the growing number of young men and women suffering from post-abortion syndrome. Its message is one of healing, forgiveness and hope - a pro-life message through the mercy of God°s grace. 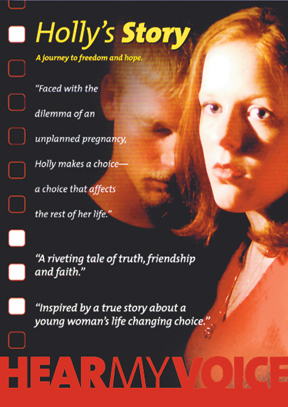 It's a resource that every teen leader, post-abortion counselor and parent should have.